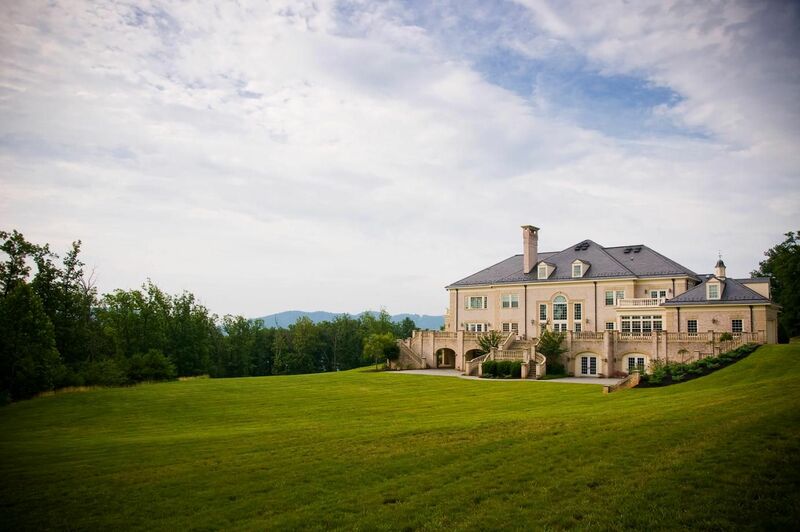 Overlooking a 250 acre estate in Virginia, this large European manor is one-of-a-kind. 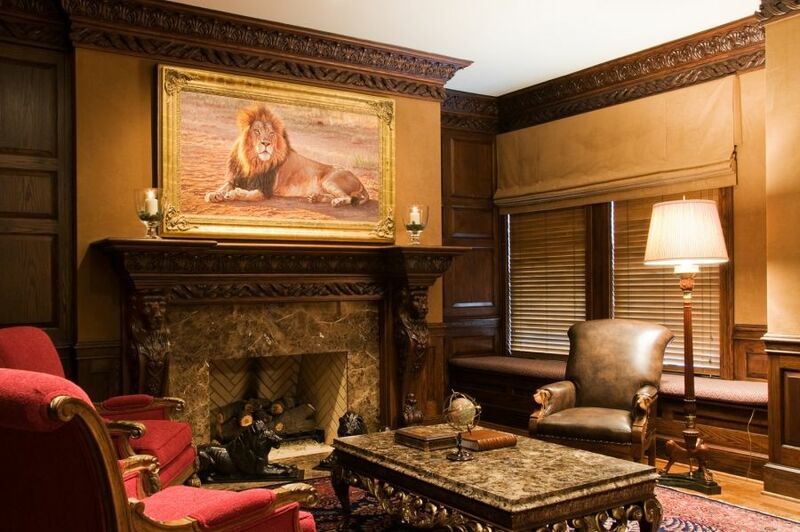 The homeowners asked Banovich to consider the theme of a “lion’s den,” and to bring this concept to life on their estate. 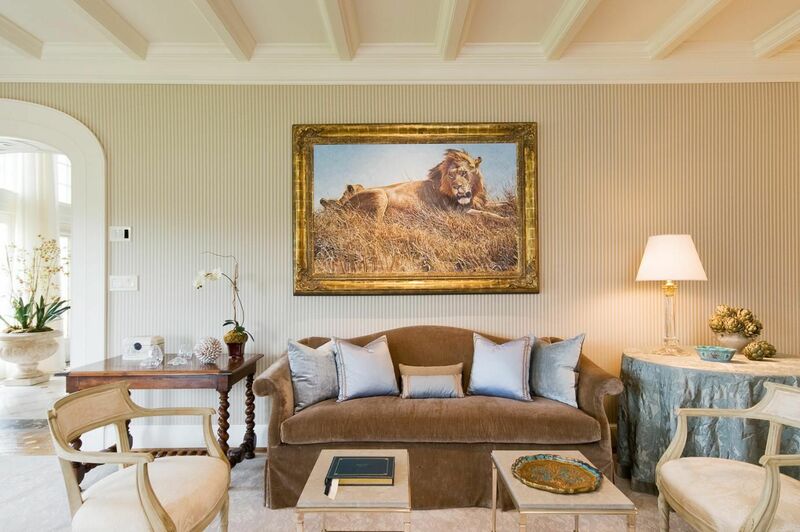 Working with interior designers Paul Sherrill and Jose Solis and famed graphic designer Mike Calkins (www.mint-usa.com), Banovich created an entirely unique and timeless identity for the home, celebrating the spirit and historical significance of the lion. 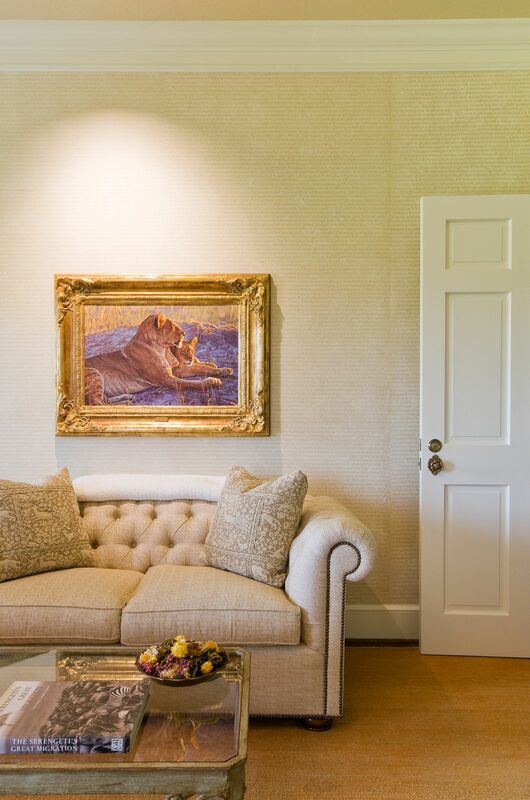 Identifying prominent spaces, Banovich created paintings paying reverence to the most admirable lion traits, displayed to enhance the experience and bring the characteristic of the lion to a conscious level. 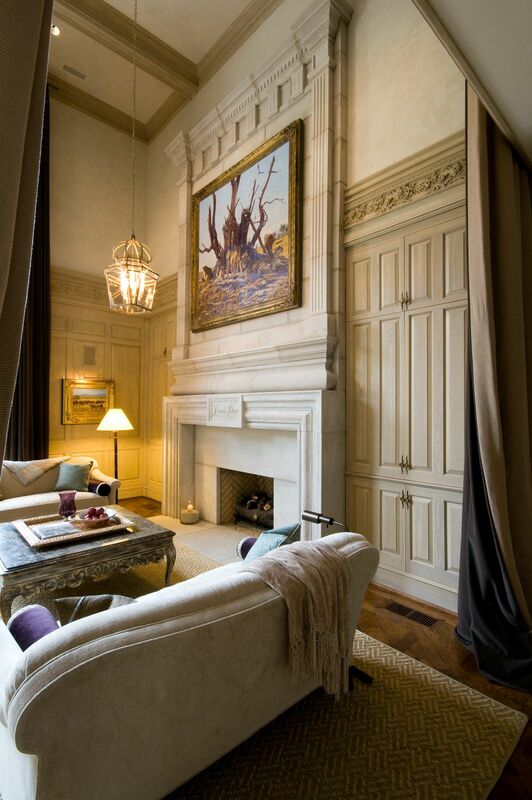 Creating color guides from his paint palette, they collectively chose materials and fabrics that harmonized the interiors. 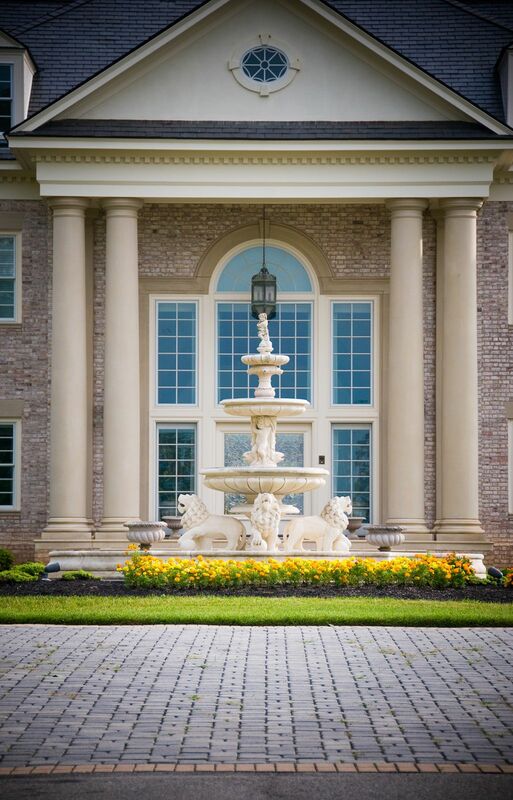 Calkins designed a crest that was inlaid into the marble foyer, sewn into the dining chairs, and cast into the driveway gates, giving the estate an elegant identity. 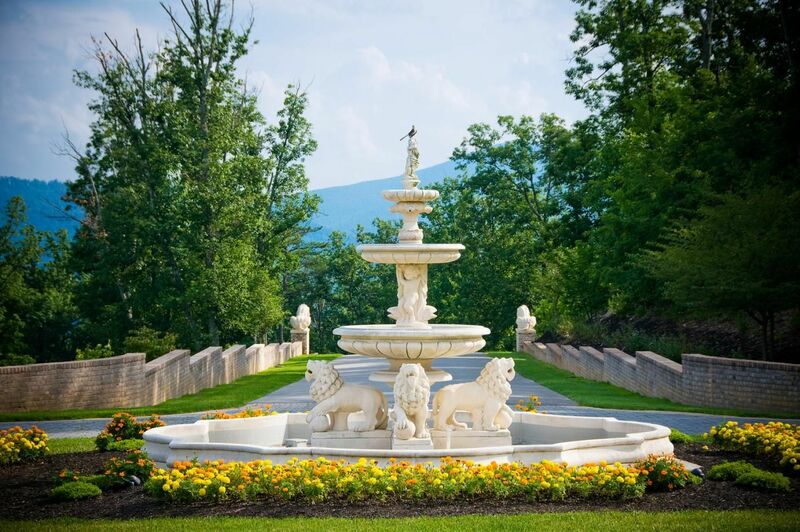 Banovich worked with master sculptor, Mike Barlow, to create two maquettes which later became 9’ stone guardian lions that greeted guests as they rolled up the driveway. 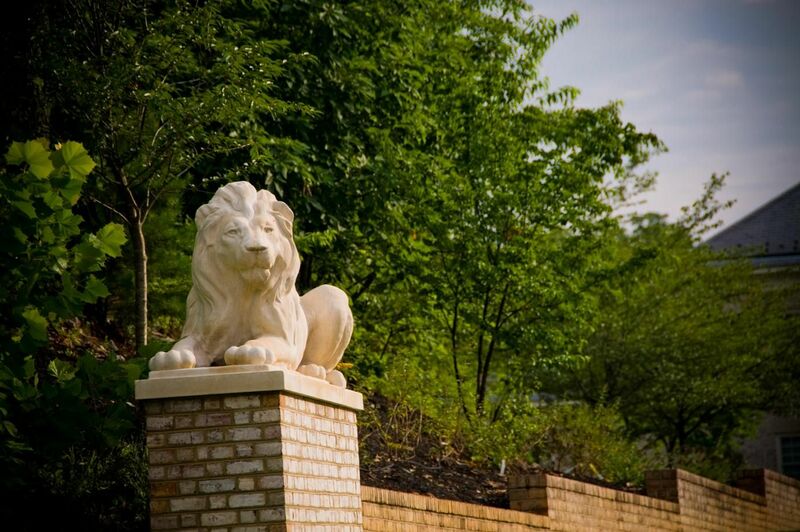 With heads cocked slightly inward, the lions share a direct line of sight with approaching visitors. The idea was to understand how people would live in the space and to create an art experience around that concept, engaging the viewer in a subtle, but interactive way. 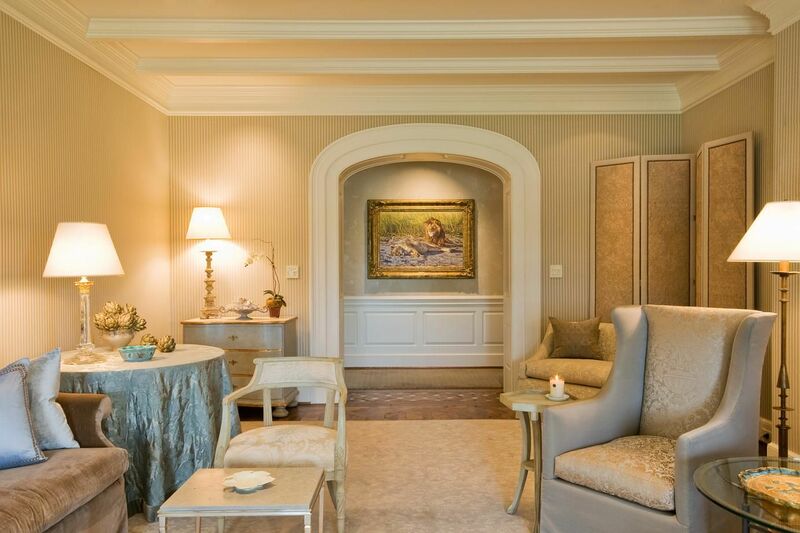 The project allowed Banovich to test his creativity in ways that took his relationships with the subject, the paintings and the clients to an instinctive and energizing level. Working with a dynamic team, they created one of the world’s most unique properties.